An unforgettable day of fishing in the north of Mallorca !!! highlights Landscape, nature and fishing guaranteed! 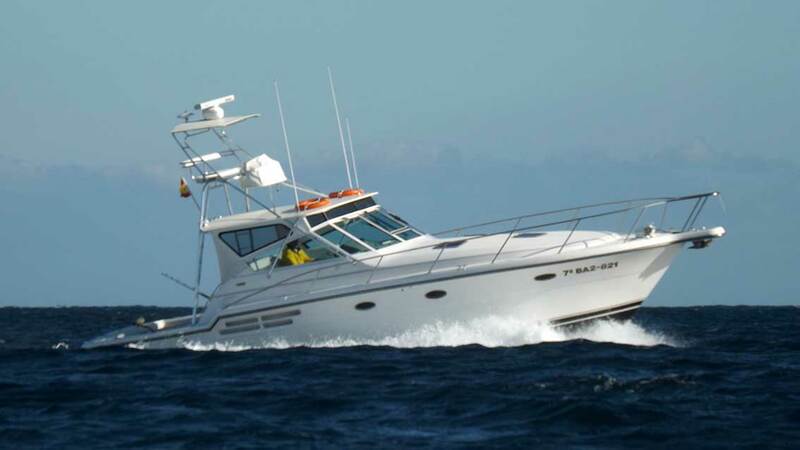 Do you want to spend a great day fishing in one of our boats? We suggest you sail on the high seas until you find the school of fish, which is located at an approximate depth of 70 meters. There we will have the opportunity to fish small pieces of approximately 20-50 cm. 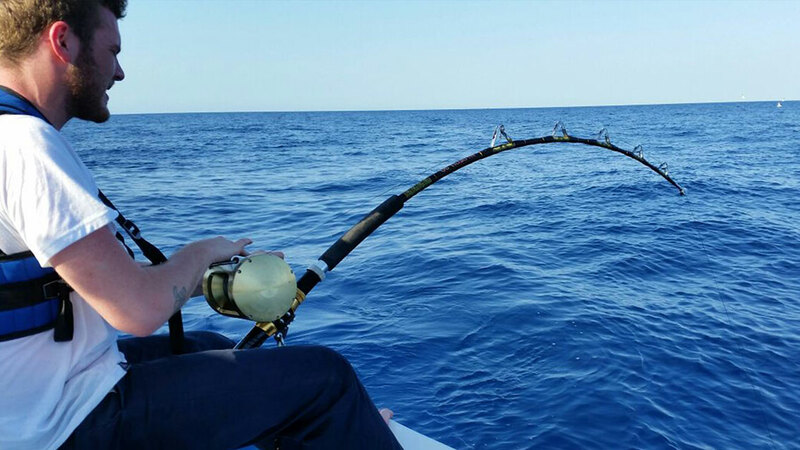 Thanks to the experience of our human team, we can guarantee that all of us will get captures and we will be able to enjoy and learn the art of fishing in “volantí” or trolling. Two days before departure, we will choose the location based on the weather forecast. It will be in Cala Sant Vicenç or Puerto de Alcúdia. We will sail by boat according to the conditions of the sea or the chosen option towards our point to fish. We will anchor at a depth of approximately 70 meters, where the captain of the boat will teach us fishing techniques. After fishing, we will stop at a virgin beach where we can eat, swim, snorkel or simply contemplate the wonderful landscape of the mountains of Mallorca. We will return to the starting point after this wonderful half-day between family or friends. Excursion suitable for anyone who likes nature, the sea and fishing, regardless of their knowledge of fishing techniques. Our captain will inform us about the route and safety rules inside the boat. 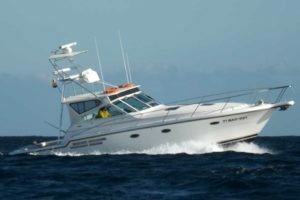 We will make different stops: fishing point, exclusive beaches, points of interest, where the captain of the boat will explain the most fascinating stories of each place visited. 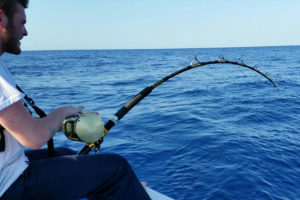 During the half-day we will have the opportunity to: fish, swim, sail on the open sea in Mallorca, snorkel, relax, etc. We will enjoy views of the unspoilt coastline of Mallorca and the Serra de Tramuntana.